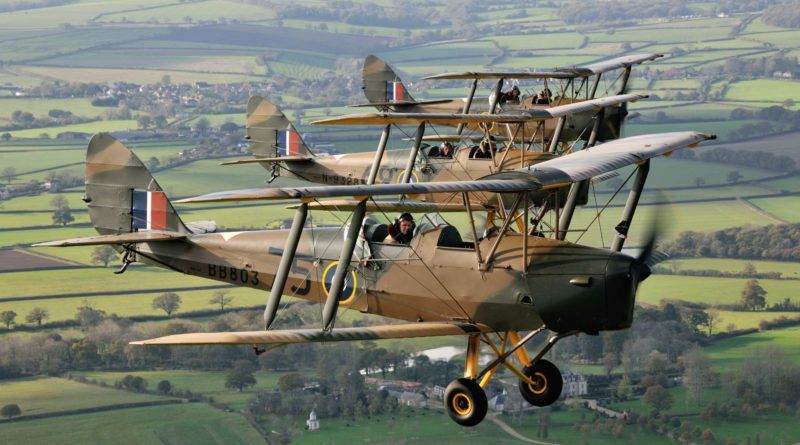 Kevin Crumplin wished to keep his collection of Tiger Moths (both complete and being restored) at Henstridge and realized the only way to achieve this objective was to get them to meet their own insurance,”hangarage” and maintenance costs by setting up a professional training school. He was joined by Clive Davidson(CFI),one of the most highly respected and experienced Tiger Moth instructors/display pilots and Annabelle Burroughes an instructor,display pilot and owner of a “Bucker” Jungmann who were happy to help set up the school. 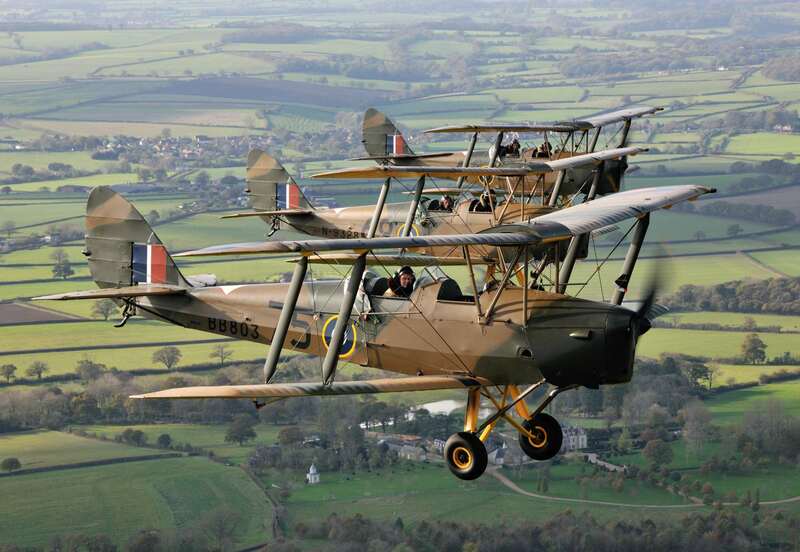 This trio turned the idea into a reality and Tiger Moth Training was created in January 2013 with the objective of providing a high quality,safe and affordable training programme for those pilots and prospective pilots who wish to fly these iconic aircraft. The school also provides flights for those who wish to “have a go” at flying one of these wonderful aircraft and can make the ideal present for a special occasion.